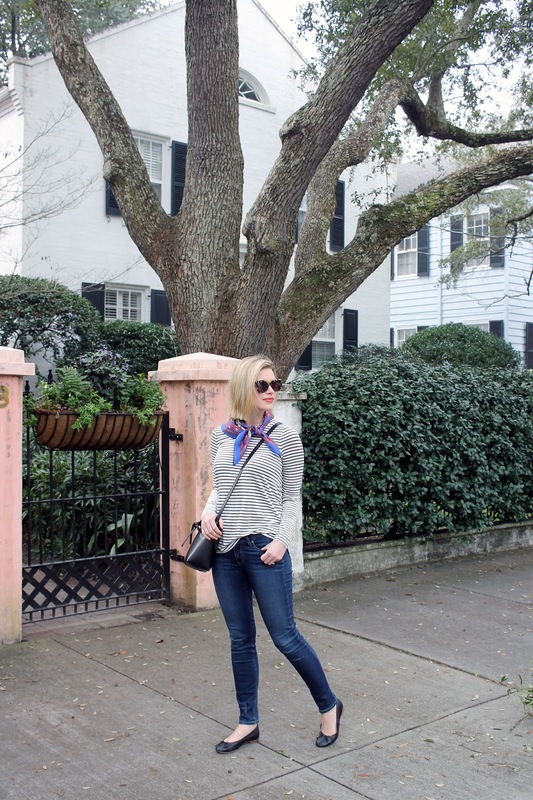 Want to know the most versatile piece of clothing in my closet? The title now belongs to this striped shirt. My love for a good striped shirt runs deep, and this one happens to top the list. 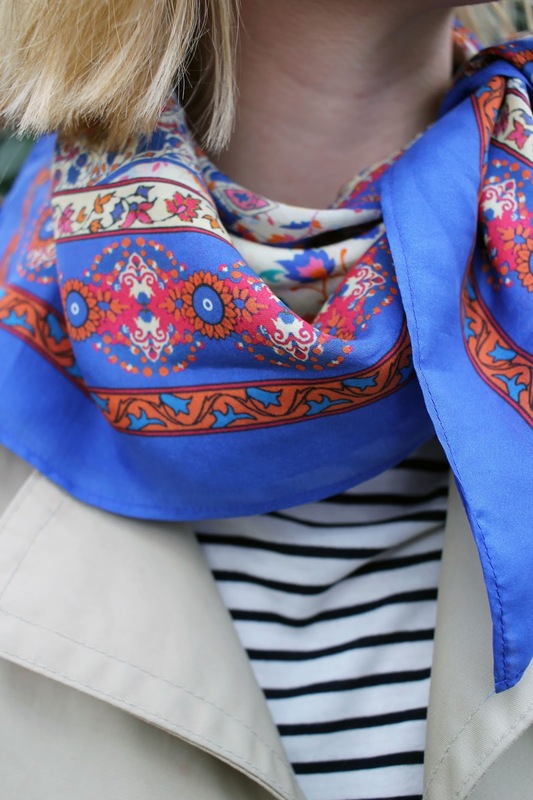 It is a little slouchy without looking sloppy and thin enough to layer under sweaters. Plus, the fact that it is under $40 means I can purchase it in multiple colors. 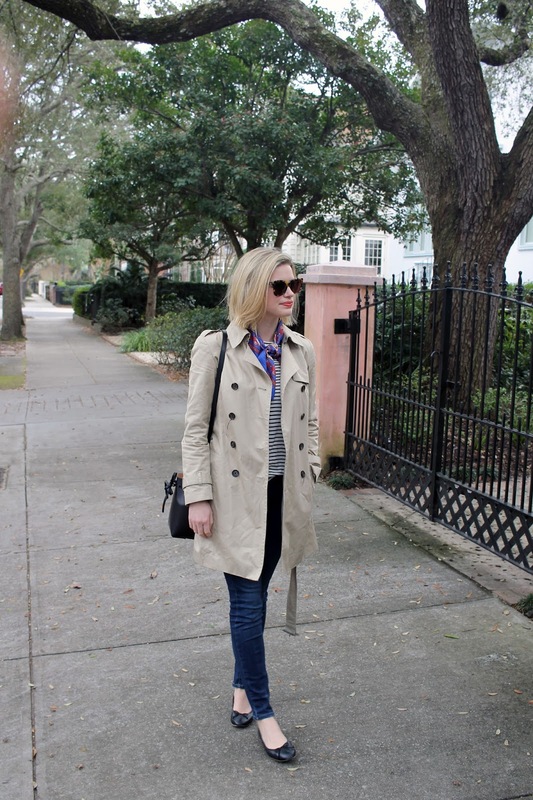 I wore this outfit on our last day in Charleston. We had brunch at our favorite spot, Butcher & Bee, and then walked along The Battery before heading home. 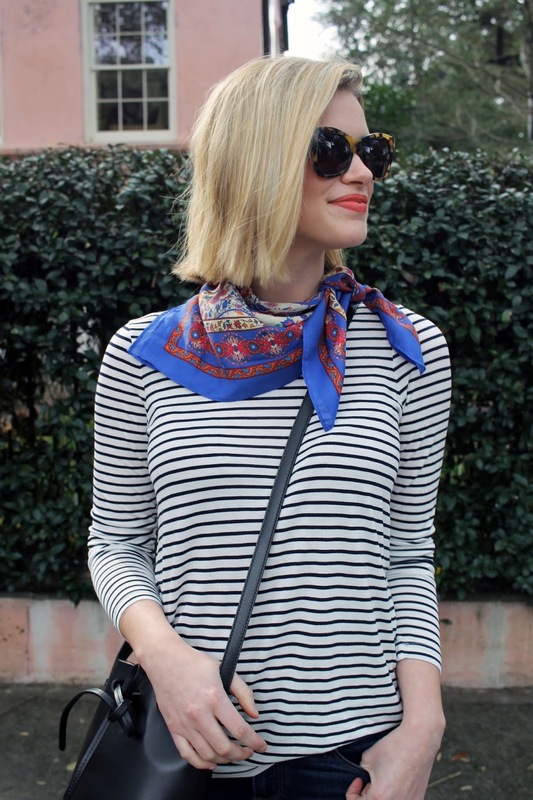 My trusty striped tee paired with a silk scarf and trench coat gave me comfort for the ride home, while still looking put together. 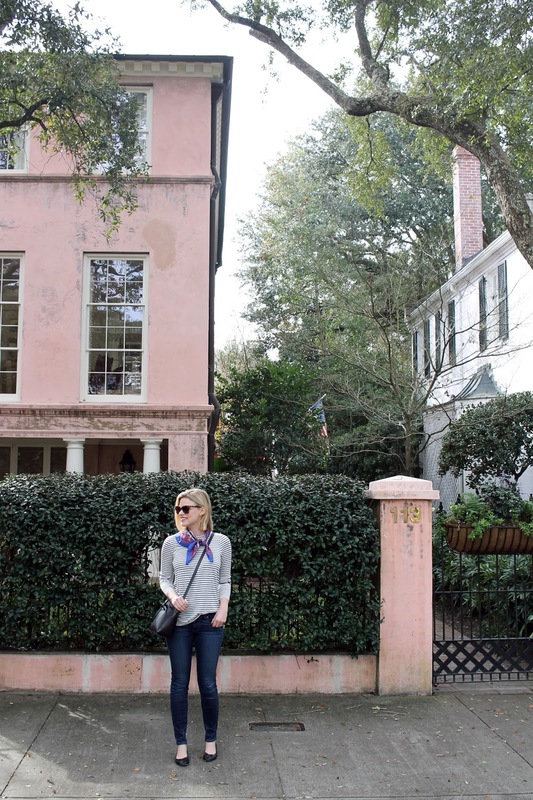 I am now counting down the days until our next trip to Charleston.